An unidentified militant was killed by Frontier Corps (FC) personnel when a FC medical team came under a militant attack in Mand area of Balochistan’s troubled Turbat area on Saturday. 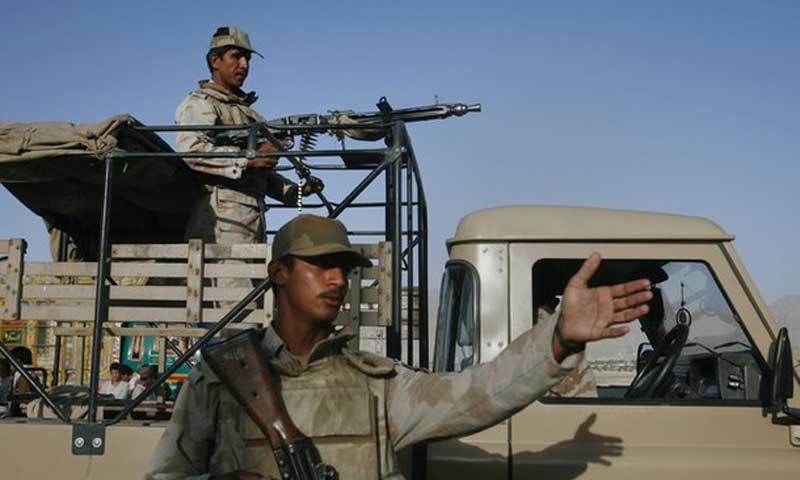 FC spokesman Khan Wasey said that armed militants opened fire at the medical team in Mand area of Turbat, adding that the paramilitary force retaliated and killed one of the attackers. “FC recovered weapons from the possession of attacker,” Wasey said. He said the dead militant was identified as Abdul Baqi. However, FC spokesman’s claim could not be verified by independent sources. In a separate incident, unknown armed men gunned down district president of Muttahida Mahaz Balochistan, Qadir Raisani. Police said militants, riding a motorcycle, opened fire at Raisani’s vehicle and killed him on the spot. The dead body was shifted to Civil Hospital Kalat for postmortem.